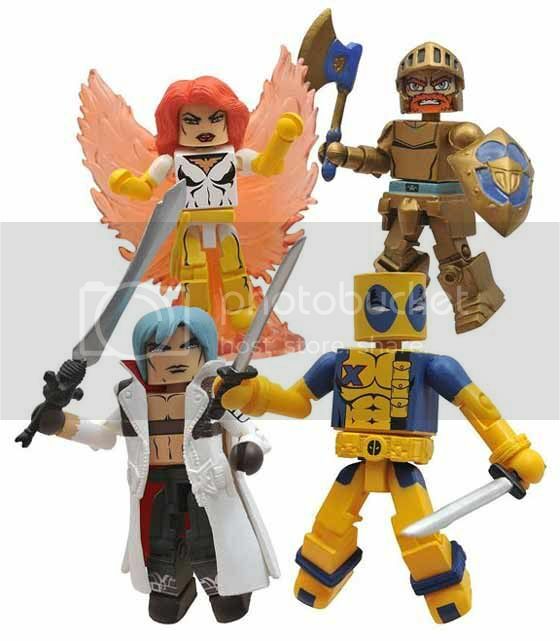 SDCC Exclusive Marvel Vs Capcom 3 Minimates! Filed under "Why I Hate Living Far From San Diego". These San Diego Comic Con Exclusive Marvel Vs Capcom 3 Minimates are probably going to cost a fortune the moment they cross a couple of continents and into our shores. And that's assuming some poor dumb soul is willing to sell his collection. Yeah, I know it's just a bunch of 2 inch plastic with some characters poorly etched on it but this is freaking Marvel Vs Capcom 3 Minimates were talking about here! Argh! Somebody please fly me to SDCC for free!